Pollard's first request for parole since his 1985 imprisonment was denied on grounds that are inarguably false, writes Jonathan Tobin. Jonathan Tobin, the Senior Online Editor of Commentary magazine, has penned an angry article calling for Jonathan Pollard's release after learning that a parole board denied Pollard's request for parole, and that it did so on false grounds. 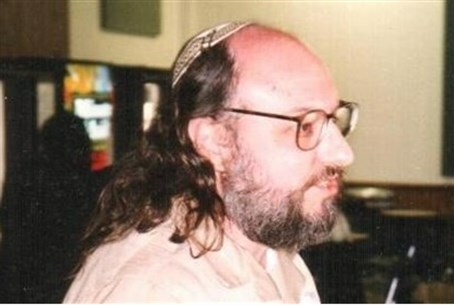 “Throughout the decades during which the fate of convicted spy Jonathan Pollard has been debated, those advocating for his freedom have been told that they need to follow the legal process rather than relying on political pressure, whether from sympathetic Israelis or Americans, to grant him clemency,” wrote Tobin Tuesday. “In particular, once the time drew near for his first parole hearing, those who considered his life sentence disproportionate were warned to focus on that avenue rather than others that merely provoked the usual round of apoplectic responses from the U.S. security establishment. "One doesn’t have to think well of Pollard or even of some of his vocal supporters to understand that there is something egregious about the desire of some in the government to see him die in prison after so much time served,” added Tobin. It is “time for someone in the U.S. government to put an end to this mockery of justice and let him go,” he summed up.